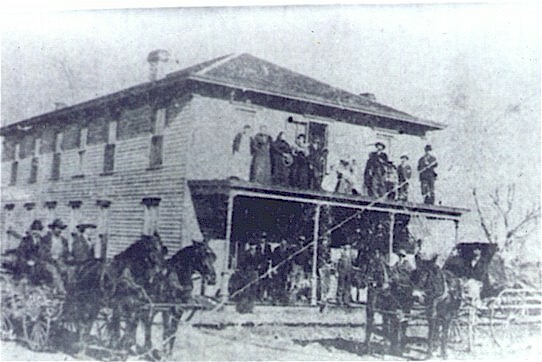 the old Bronaugh Hotel. The hotel was managed by various people but the most well known was Molly and William Morren. William was also the town Marshall. He was shot and killed right on the front porch of the hotel during a bank robbery across the street west at the Bank. The hotel sat on the site of the current park shelter house. Mrs. Morren continued to manage the hotel after his death. She eventually married Charles Collins and he then managed the hotel with her for a number of years. The article on the right is from the November 7, 1917 Fort Scott Tribune-Monitor. It has a typo in the title - it should say FIFTY. Anyway, the article tells us that Charles Collins may have been prone to exaggration or was bragging. 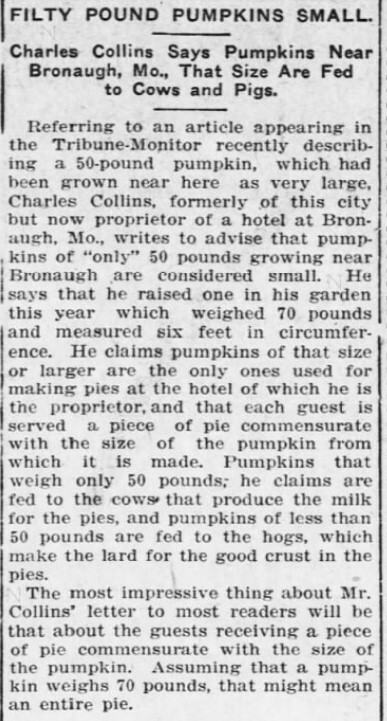 Perhaps pumpkin pie was a specialty of the hotel dining room? 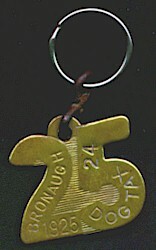 Raymond also shared this Dog Tag from 1925 when the town's dog owners had to pay a tax for each dog.